"The Divine Dance" by Richard Rohr, New Book! "There is a rising rumble, like a midnight train approaching through the wastelands. Not only do we hear it from the distance, but we can feel it if we put our hands on the ground or in the water or in the torn bread and poured out wine. The rumor in the deep places of our souls is that there is a party going on, and we can scarce trust our invitation. Could there ever be a toast raise to us? Might a hand reach out and lead us into the divine dance, whispering in our ears that we were always made for this? And so we wait for the kiss, the breath in and out that awakens our sleeping hearts to life. We were made for this, utterly found within Relentless Affection! " The Divine Dance by Richard Rohr, p. 21. In this parable of the Unjust Judge (which is a great oxymoron), Jesus tells his audience “about their need to pray always and not to lose heart.” Since I’m a woman I can say this: Jesus seems to encourage us to “nag” God in prayer. In the parable a widow relentlessly pursues justice against her opponent, although we are never told what the opponent did. We can assume that, because she is a defenseless widow, as all widows were in that day, someone is taking advantage of her. At first the judge refuses to help her, but eventually he gives in because he doesn't want the widow to continue coming to him and wearing him out. He has other things to do. He has other cases to resolve. He's more interested in people paying him under the table and other unethical practices that will make him rich. He could care less about this widow woman, and yet to get her out of his hair he brings justice to her. Jesus then offers the moral to the story: If even an unjust human judge will eventually come around and help someone in need, will not the Almighty Judge do what is right at all times? Jesus is suggesting that God will answer our prayers if we are persistent. Is that true? Does God always answer our prayers if we are persistent? Some might say, “Yes, but sometimes God answers with a ‘no’.” Perhaps it is true that God says “no” to us at times, but this is really an assumption on our part. We are assuming that the silent response to our prayers is a “no” when it could just as well be a non-response. If we follow the wisdom of Jesus’ parable, we should ignore all the “no’s” or non-responses to our prayers and continue to nag God until God says “yes” (much like a salesperson ignores the first few “no’s” of a prospective customer). There are many types of prayers. 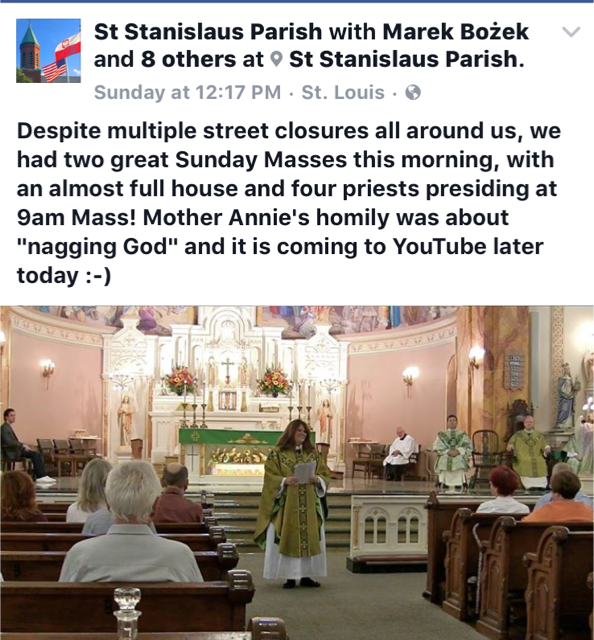 There are prayers of adoration or praise, prayers of thanksgiving, and prayers of confession. Some people practice meditation and contemplation, types of prayer that come from the monastic traditions. But the type of prayer implied in Jesus' parable is “prayers of petition.” When we pray a prayer of petition we are asking God for something. Like the widow in the parable, we might ask God for justice. We might ask God to heal the sick or comfort those who mourn. These are prayers of petition or intercessory prayers. Whether we ask God for something that benefits us, or benefits others, prayers of petition create theological problems for some people. For some Christians, asking God for something seems a little silly. Giving God a verbal “wish list” as if God is a heavenly Santa Claus who will give us what we pray for if we are good enough or persistent enough seems a little silly. Why do some Christians have a problem with prayers of petition? First, if God already knows our needs and wishes, why do we need to persistently nag God about them? Don't we insult God by acting as if God needs to be reminded about these things? Doesn't persistent, nagging prayer imply a senile God? Second, there is the reality of unanswered prayers. Let's be honest. We have all prayed for things that simply did not materialize. I'm sure we have all prayed for someone’s healing only to discover that they did not recover from their illness or injury. We have all prayed for world peace and for an end to world hunger. If we say that God has simply said “no” to these prayers, then we have to grapple with the reality of a God who doesn't seem to care about people very much. Because of these theological problems, some people choose not to pray intercessory or prayers of petition. Even when a prayer seems to “work,” people are often surprised. A priest stopped during his morning walk when he saw a man bending over one of the tires of his car. The rear had been jacked up, and the man was tugging at the tire muttering profanities. Then he stood up, kicked at the tire, and expressed his feelings at the top of his voice. First, prayers of petition feel like a natural way to express our cares and concerns. Second, prayers of petition do have a positive effect on people (especially if they know they are being prayed for). Third, whether prayers literally “work” or not, we become more intimate with God when we pray. Those are good reasons to pray, regardless of how theologically “correct” we may or may not be when we pray. Jesus concludes the parable of the unjust Judge by asking, "When the Son of Man comes, will he find faith on earth?" Our Lady of Guadalupe Words of prayer and hope "Am I not here, I, who am your Mother?" The miraculous image of Our Lady of Guadalupe has had a powerful impact on people for centuries. But there is another aspect of the events that occurred on the Hill of Tepeyac, which is sometimes overlooked or forgotten. 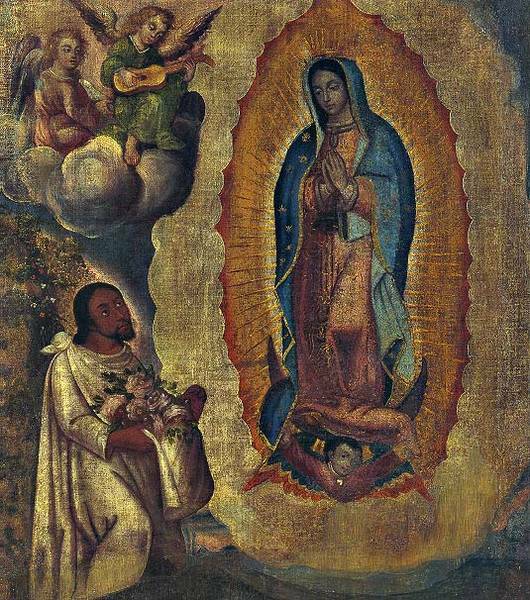 Our Blessed Mother’s words to Juan Diego convey the tender love of a mother for her child. They also recall events in Jesus’ life, and call each of us to an important mission of love, prayer, and mercy. Here are Mary’s extraordinary words, faithfully translated from the native language of Juan Diego, and accompanied by Scripture, prayers, and suggestions for action. Spend 30 days with the words of your Blessed Mother, and let your life be transformed. I serve. I do the dance I must. I plant trees, but I am not the doer of this work. I am the facilitator, the instrument—I am one part of the symphony. I know there is an overall scheme to this symphony that I cannot understand. In some way, we are each playing our own part. It is not for me to judge or criticize the life or work of another. All I know is that this is my dance. I would plant trees today even if I knew for certain that the world would end tomorrow. "As we approach the year of events leading up to the 500th anniversary of the Protestant Reformation on Oct. 31, 2017, a resurfacing question will be: Do we celebrate? Repent? Commemorate? Perhaps all three? This is the first time the centenary observance of the Reformation will occur in an ecumenical era. Since the Joint Declaration of the Doctrine of Justification by the Vatican and the Lutheran World Federation in 1999, we've reached a new stage. We've made more progress in the last 50 years toward healing the wounds of our divisions than we have in the last five centuries. Top Lutheran theologians participated as observers at the Second Vatican Council (1962-65). The international dialogue between the Vatican Secretariat for Ecumenism and the Lutheran World Federation started in 1967. After five sessions, they came out with the Malta Report in 1972 in which it was clear they decided to take on in the ensuing years a whole range of issues: Scripture and tradition; admission to the Eucharist; justification by faith; church law; ordination. At a weeklong conference on "Fifty Years of Lutheran-Catholic Dialogue" last July at the Lutheran Institute for Ecumenical Research in Strasbourg, France, Dominican Fr. Hervé Legrand, a participant in the dialogue, gave an overview of the dialogue commission's work. Discussion on Eucharist and ministry led to a new document in 1978 on "The Lord's Supper." Catholics and Lutherans agreed: Celebration of the Eucharist doesn't "repeat" the sacrifice of the cross or add to its salvific value. In the document, giving Communion under both kinds and preaching at every Mass was asked of Catholics, while a weekly celebration was asked of Lutherans. There is extensive agreement on the real presence under the signs of bread and wine. As Lutherans only have two sacraments -- baptism and Eucharist -- they do not profess the sacramentality of ordination. For them, it is more of a collegial reality, whereas for Catholics it has an indelible character, that is, it marks one for life and cannot just be given up or repeated. There was a convergence of understanding on this, but a lack of accord on who can be ordained..."
"16-year-old Juan Antonio Rodriguez was shot on Oct. 10, 2012, in Nogales, Mexico, he was unarmed. On the weekend of the fourth anniversary of his murder, the site of his death drew a crowd of more than 1,000 people on either side of the 18-foot steel fence at SOA Watch's annual rally Oct. 8-10. SOA Watch is an organization that for 27 years hasprotested the School of the Americas (now the Western Hemisphere Institute for Security Cooperation, or WHINSEC), a U.S. Army school that SOA Watch says has trained Latin American soldiers in techniques of violent repression. But before the workshops and spiritual gatherings, about 1,000 people marched from one country to the other, ending at the border fence, Ambos Nogales." disloyal to his country, and unfaithful to his religion. That's the way Jesus' audience would have thought of them. that affect our understanding, actions, and decisions. conducted experiments for their book Blindspot 20 years ago. in both the presidential and the vice-presidential debates. how we come to have a bias without consciously realizing it. First, our brains pick up information from what we see. our brains pick it up and recognize it as a pattern. and we think that's the way it really is. So men become surgeons and women become nurses. on the implicit biases of Jesus' audience. The tax collector is justified, not the Pharisee. act unconsciously on faulty assumptions. We have all learned to be biased. it doesn't mean that we have to stay that way. called to be holy, called to reflect God's goodness. The Psalm tells us that God hears the cry of the poor. so are we to treat all people equally. called to listen to their cries and work for justice. is rooted deeply in our Catholic Social Teaching tradition. and learn to be just. not just for the rich and the powerful. and weigh their impact on the poor. takes it out of the mouths of the poor. until the basic needs of all people are met. It's not ethics as a general idea. It's a specific ethical imperative for each one of us. Our own way of life must reflect our values.